Argh. I was so excited to make this, that I totally effed up cutting the bodice front. Of course my mistake was smack in the middle of the fabric, and no real way to work around it. Sister and I went to Joann’s for a cutting mat. (All Olfa’s were on sale this weekend 50% off.) Vogue patterns were $3.99, this lovely charcoal gray fabric was 30% off, thread was 50% off… anyway, I walked out with 2 Vogue patterns, some zippers, another cutting mat, storage boxes, thread and fabric. I’ve been wanting to make dresses to wear to work, so I thought this would be an easy one to knock out. 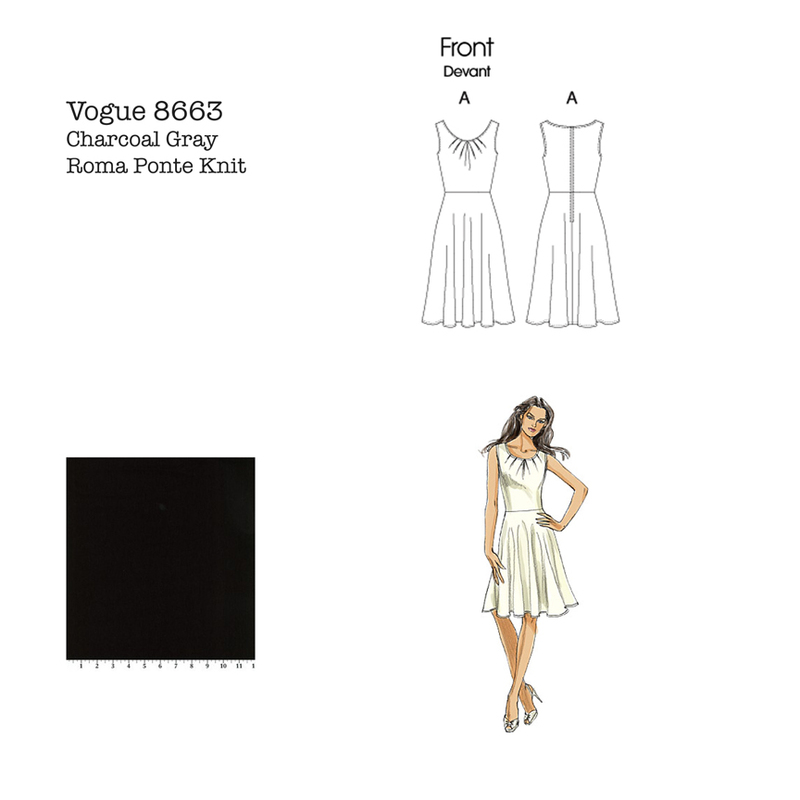 Over on Pattern Review, it seems like a lot of people omitted the zipper and the bias tape around the neckline. I think I’m going to sew this according to the pattern and keep the tape and zipper. This knit is fairly heavy, and I think it’ll hold the zipper ok.